Steel piston shafts and springs, tough nylon bodies. Assembly and installation into a kit. 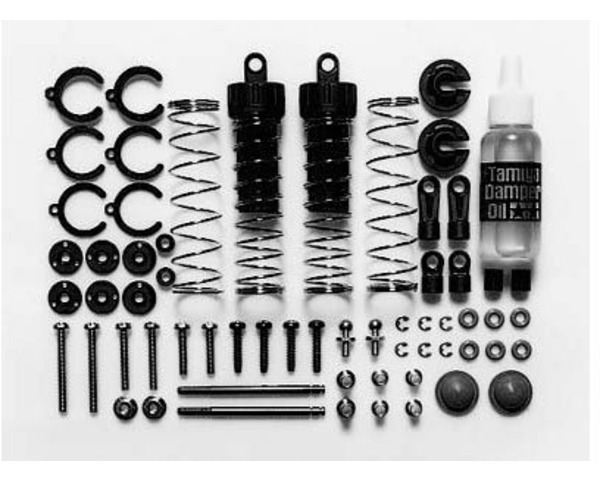 plastic shock as opposed to the large-bore aluminum shocks. the shock shafts, screws, eyelets, shims, and nuts.